Ray is a desktop HTML-powered text editor with advanced features. Create, style, organize your personal notes! 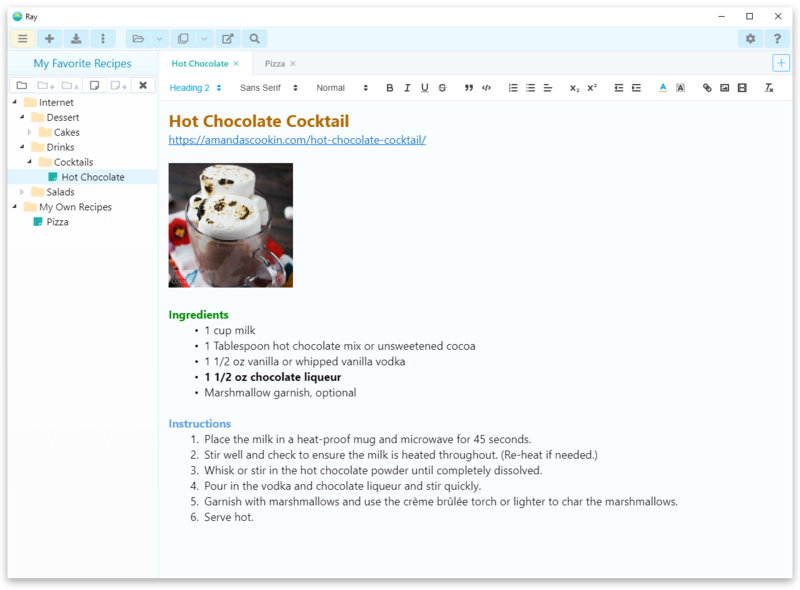 Ray is a rich text editor which saves your documents in HTML format. 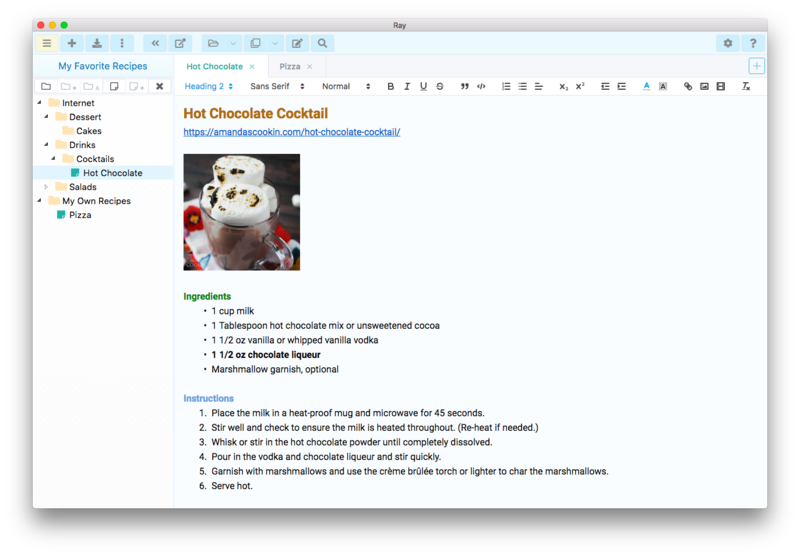 It&apos;s intended for creating and organizing small and medium text documents like notes, thoughts, ideas and so on. Actually any text you want to save. Ray can work on any platform - macOS, Windows or Linux. You can use it as a replacement for simple text editors (e.g. supplied in your OS) and note taking apps. You get such benefits as advanced styling (thanks to HTML format) and file organizing features to have quick access to all your files. In some cases you can also consider using Ray instead of "big" word processing apps like Google Docs or MS Word. They have more formatting and other options then Ray but may be too heavy and less handy for medium/small text documents or those documents that don&apos;t require complex text formatting. Ray is constantly improving and more new features are added in each release! Ray is based on Electron platform and can be run on Windows, macOS and Linux. At this moment you can download distributives for Windows (tested on Windows 10) and macOS (tested on macOS Sierra/High Sierra). Copyright 2018. Released under the MIT license.